But, why would she be tensed with PSJ though if she had nothing to hide and it was pure friendship only??? In my personal life, I experienced being in a secret relationship with an officemate as it was a taboo in our office to date officemate. I was not able to relax and act normally when he was around I was always worrying others will know our secret. None of us really knew their real status even long time solid fans. I remember same arguments with solid SHK and solid SJK who did not believe they were secretly dating and it turned out the shippers were right. I don't know with this PPC ship because WE CAN NEVER BE TOO SURE OF ANYTHING. That is their private lives. yes.. I also read this last year. But. I did not see the part where she said she dated in the past secretly and its not with PSJ. There were plenty of Korean articles with different versions. Those were posted in earlier pages here in the thread. No I wouldn't, because one day when the truth comes out many shippers hearts may be broken so what is all for? I'll be waiting for this day, and will be very happy for her. But, why would she be tensed though if she had nothing to hide and it was pure frienship only??? 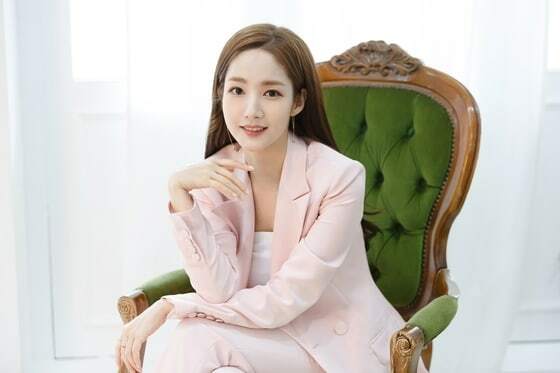 Because people before Secretary already believed that they dating, for that reason Min Young so much time didnt confirmed her join to the cast. and for sure... a lot has changed now.. I forgot to ask this, how can there be a rumour between them before wwwsk if they haven't been in a project together or they are known not to be closed friend? Just curious. Means that she always got cast in amazing script. Kudos. well fair enough.. i beg to differ but i respect your opinion nonetheless.. for now we dont know what is the truth right?. you could be right or i could be right, but we still dont know what is the truth. i think to say pmy was being cold with psj during bts over dating rumour is bit immature.. coz dating rumour is like an occupational hazard for actors.. they cant run away from it since ppl like to gossip and ship actors as they pleased, especially if the actors are OTP in dramas or films.. if there is no truth to the gossip, it will eventually die down after some time.. why the need to treat her co star differently so that she would not be caught in dating scandal, if there is no scandal to begin with? it doesnt matter when the gossip started, if it’s not true, why bother with awkwardness and sneakiness? it doesnt make sense to me..
in my opinion, she and psj have a thing during filming wwwsk.. she was being extra careful not because of the dating rumour but not to get caught.. (my opinion only)..
pmy is not a new actresss.. what happened to her after city hunter is truly heartbroken but i dont think the history will repeat again.. she’s more mature now and can handle stuffs differently.. and PSJ is not LMH..
one day, if she or psj suddenly say they are marrying someone else, i’ll accept it. as much as i ship them and want them to be my OTP in real world, i cant control their lives and feelings.. im gonna move on and support them individually.. in the mean time, let me hv fun shipping them first lol..
Rabid fangirls of LMH hated her and always emphasized her plastic surgery. PMY is more than just a beautiful face that is why many handsome guys fall for her. She has great personality and she is very smart and talented. A total package plus she cooks well. I always﻿ go back to watch this interview.. whenever I miss them ﻿together﻿! ﻿lol﻿﻿. It makes us happy, right? And in AAA 2017 she was natural with other guys but so restrained towards PSJ. Solid fans tend to believe EVERY WORD of their bias. But based on my observations artists words are not 100% true all the time. They have careers and reputation to protect as well as managers who advise them what to say to media. No matter what happens...as long as our captains haven't abandoned ship or declared that our boat is sinking...let's just hold tight mateys! Arrgh!